They could also provide more than a monetary reward. One of the factors that keeps young people from going into agribusiness is a lack of mentors. New prizes could incorporate mentoring functions, as is the case with the Africa Prize for Engineering and Innovationthat’s managed by the UK Royal Academy of Engineering. 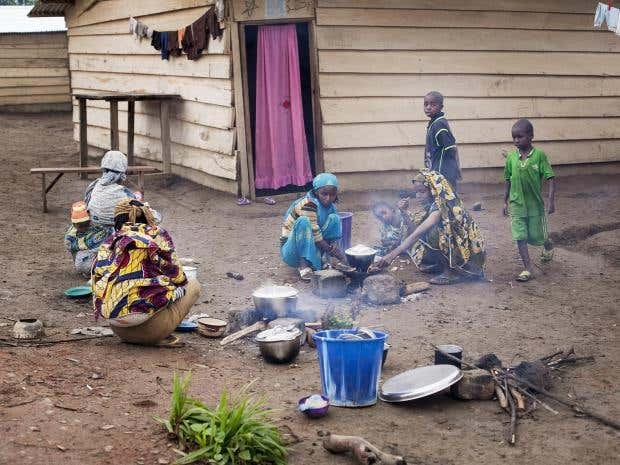 A source in the international aid community told The Independentthat there was a danger of a repeat of “the desperate conditions and extreme hunger that killed hundreds of thousands in 2010”. The release of the film in late 2000 sparked national outrage. No one seemed more shocked than the chocolate companies themselves. In June 2001, Hershey senior vice president Robert M. Reese toldPhiladelphia Inquirer reporter Bob Fernandez that “no one, repeat, no one, had ever heard of this.” After internal investigations, several companies, including Hershey, expressed concern over the conditions of laborers in West Africa. When the next deadline came and went, a new proposal arose. By 2010, the companies basically started anew with a treaty called TheDeclaration of Joint Actionto Support Implementation of the Harkin-Engel Protocol. This document pledges to reduce the worst forms of child labor by 70 percent across the cocoa sectors of Ghana and Ivory Coast by 2020. 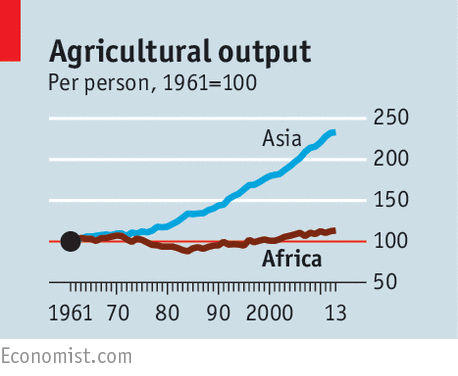 The post-war green revolution that transformed Asia seemed to have bypassed Africa. But between 2000 and 2014 grain production tripled in countries as far-flung as Ethiopia, Mali and Zambia. Rwanda did even better (see article). Farming remains precarious in a continent with variable weather and little irrigated land. But when disaster hits, farmers nowadays have a bigger cushion. African countries are on the whole more peaceful and better run than they were. Farmers are no longer forced into disastrous socialist collectives or banned from selling their crops in open markets. Border tariffs are lower and export bans rarer. As a result, innovation is accelerating. Africa has seen an explosion of seed companies producing clever hybrids, which can endure drought and resist disease. Perhaps the best proof of the importance of good government comes from Zimbabwe. It has an awful one, and productivity has crashed. The progress that has been made elsewhere is wonderful, but not enough. African farms remain far less productive than Asian ones: Chinese farmers harvest more than three times as much grain per hectare. Climate change is expected to make conditions harder. Yet agriculture is essential for firing economic growth across the African continent. More people still live in the countryside than in cities and many of Africa’s cities are not all that dynamic. Asia has a tight grip on labour-intensive manufacturing, although there is certainly space for more food-processing factories in Africa—so, for example, it could export cocoa powder instead of cocoa beans. Turning an agricultural uptick into a lasting boom will demand more reforms. One priority for Africa’s governments is to dismantle the remaining barriers to innovation in farming. It still takes years to approve new hybrid seeds in some countries. With a few exceptions, such as South Africa, the continent is holding the line against genetically modified crops. This is mad. GM is particularly helpful in making plants resistant to pests—a terrible scourge. The region’s governments should also take greater advantage of mobile technology. Many try to subsidise fertiliser for poor farmers, only for the stuff to be stolen before it reaches the intended recipient. They should be sending money or vouchers directly to mobile wallets. Africa’s cities are swelling, and the people who live in them crave meat and processed food. That is a huge opportunity for local farmers, but it will be missed if transport does not become far cheaper and easier. At the moment, the rule of thumb is that it costs three times as much to move goods one mile along an African road as it does to move them along an Asian one—and that is before the police shake you down. As a result, fertiliser is expensive and much food is wasted on the way to market. More investment in upgrading shoddy rural roads would be good. Better still would be an assault on the trucking cartels that keep prices high. 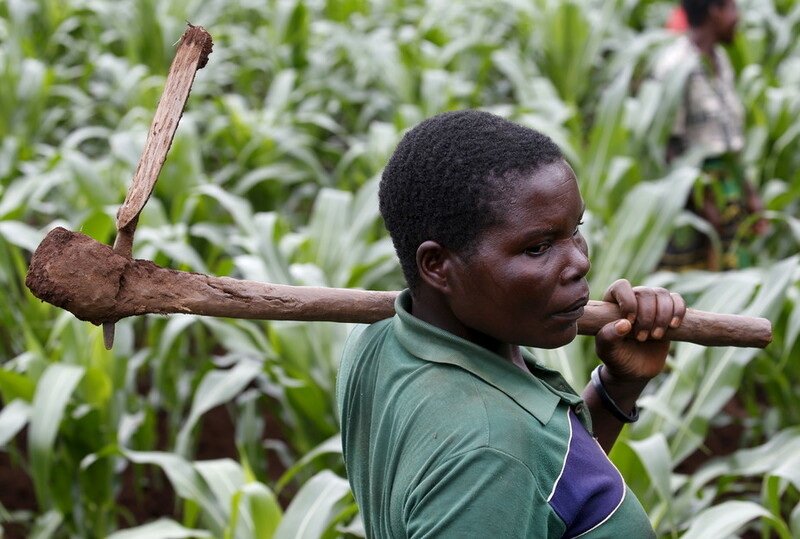 It would help a lot if farmers—particularly women—had clearer rights over land. Proper titles would encourage them to make long-term investments, like terracing and tree-planting, and allow them to use land as collateral for loans. Getting there is tricky. Many countries have long traditions of communal land management and a complicated web of customary farming rights. Charging in and handing out freeholds can actually strip people of rights. But a sensible first step, which a few countries are trying, is to register farmers’ entitlements so their land cannot be pinched. The rest of the world can help, too. Although some egregious subsidies have been trimmed, the rich world’s taxpayers still spend vast sums propping up their own farmers. America heavily subsidises peanuts and cotton—two things that Africa can grow well. Why shell out to make Africans poorer? 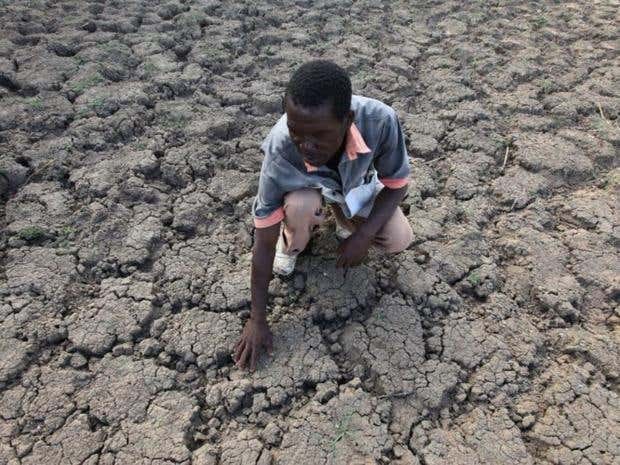 Up to 50 million people in Africa will need food by Christmas as a crisis across the continent triggered by El Niño worsens, the UN and major international charities have warned. In Zimbabwe, President Robert Mugabe has appealed for foreign aid to buy food and Malawi is expected to declare in the next few weeks that more than 8 million people, half the population, will need food aid by November. Maize prices have risen by 60% across much of the region within a few months. 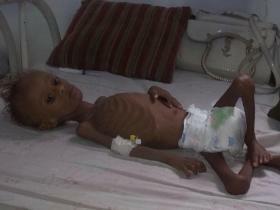 Seven million people in Syria, 10 million in Ethiopia and 14 million in Yemen also needed food urgently, said the UN. Elhadj As Sy, secretary-general of the International Federation of Red Cross and Red Crescent Societies, pledged $110m after visiting Malawi and Zimbabwe last week. “We cannot describe enough how dire the situation is,” he said. Fears are mounting that international donors, meeting at this week’s UN humanitarian summit in Istanbul, will not pledge enough in time to buy and deliver food. Their fear is that the Syrian civil war and refugee crises are putting an unprecedented strain on aid. African leaders have requested more than $1.5bn, but less than 25% has been pledged. Wheat production in sub-Saharan Africa is at only 10 to 25 percent of its potential and nations can easily grow more to limit hunger, price shocks and political instability, a study showed on Tuesday. The report, examining environmental conditions of 12 nations from Ethiopia to Zimbabwe, said that farmers south of the Sahara grew only 44 percent of the wheat consumed locally, meaning dependence on international markets prone to price spikes. “Sub-Saharan Africa has extensive areas of land that are suitable for profitably producing wheat under rain-fed conditions,” according to the study by the non-profit International Maize and Wheat Improvement Center. It said countries in the region were producing only between 10 and 25 percent of the amounts that the Center’s research suggested was “biologically possible and economically profitable” with a net return of $200 per hectare (2.5 acres). “Wheat is not an African crop, it is not a tropical crop (but) many governments want to produce wheat locally instead of paying for imports,” Hans-Joachim Braun, director of the Center’s global wheat program, told Reuters by telephone. The report estimated that African nations would spend about $12 billion to import 40 million metric tons of wheat in 2012, particularly for fast-growing cities. More wheat should not be grown at the expense of other more viable crops, Braun said. Braun said wheat was already an established crop in Ethiopia, Kenya and South Africa but could easily expand to highland areas in other sub-Saharan nations. “Wheat cannot be produced in tropical lowlands,” he added. Twelve nations in sub-Saharan Africa produced almost six million metric tons of wheat a year in the period 2006-08, the study showed. And wheat consumption was rising fast. A rise in incomes and a shift to cities from the countryside also meant a shift in diets towards wheat and rice, away from crops including maize, sorghum, sweet potato, cassava or yams. The study suggested that, with investments including in fertilizers, wheat yields would be highest in the highlands of countries including Rwanda, Burundi, Ethiopia, Kenya, Madagascar, Tanzania and Uganda. Mozambique, Angola and Zimbabwe were least suited to wheat in rain-fed areas, it said. Zimbabwe, however, is one of the most productive of the wheat-growing nations in Africa but depends heavily on irrigation. “If Africa does not push for wheat self-sufficiency, it could face more hunger, instability and even political violence, as bread riots in North Africa showed in recent years,” Bekele Shiferaw, a lead author of the study, said in a statement. In 2008, Zambia and Rwanda escaped sharp rises in wheat prices on global markets thanks to domestic production, the study said. Braun said it was hard to say when African nations might reach self-sufficiency in wheat if they tried. “The biological potential is there. But you also need access to markets. The big issue is the road infrastructure. 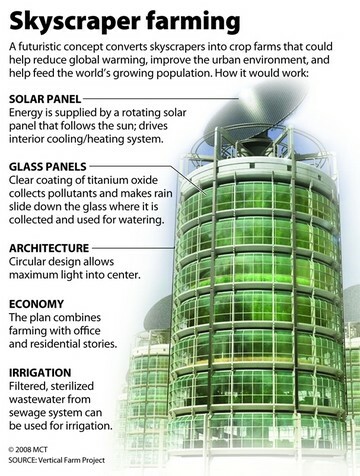 It doesn’t help very much if the farm is far from the cities,” he said. You wouldn’t necessarily know it, but right now Africa is facing a food crisis. With Brexit, global terror attacks, the war in Syria and the seemingly endless string of sporting fixtures vying for our collective attention in 2016 so far, the fact that up to 50 million people across east and Southern Africaare at risk of hunger seems to have largely escaped mention.